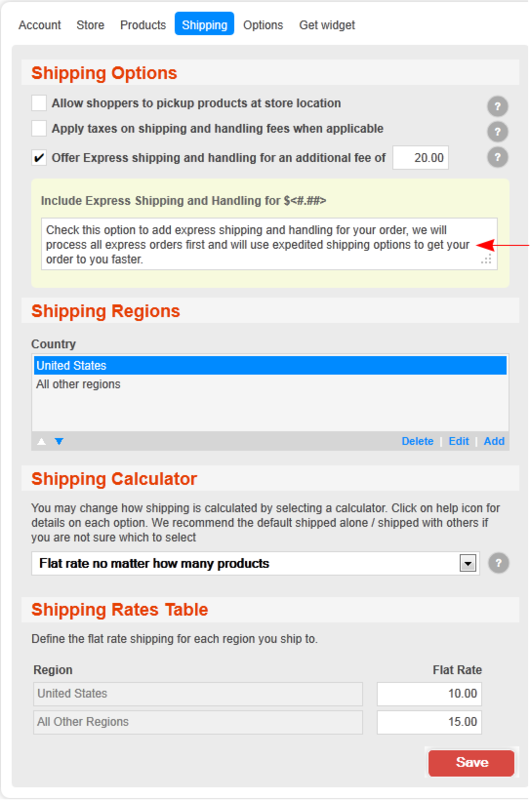 Configure your shipping charges and press Save. 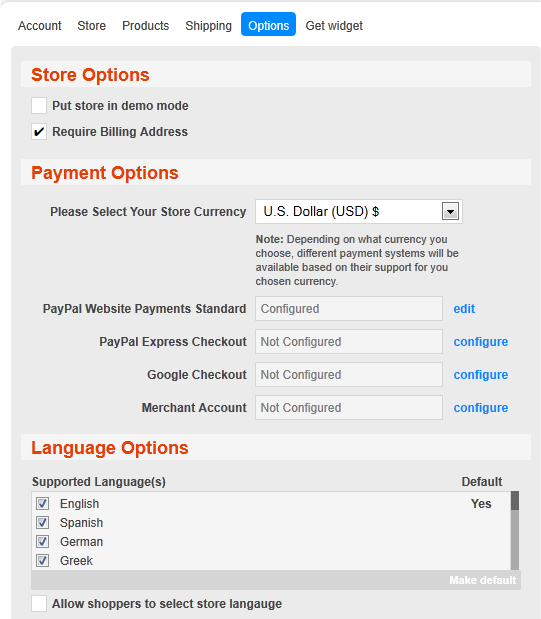 Configure your options including payment method, currency, and press Save. Specify which languages you want supported (translated I think). 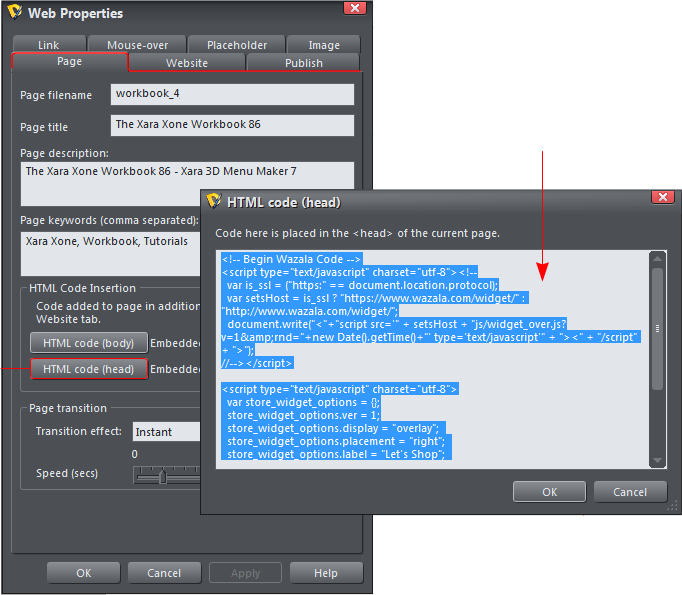 The final step is to press the Get Widget link. You can customize the button which appears at the top of the page and which takes your visitor to your store when pressed. The Wazala! Touch Button is the touch screen button that appears in your shopper’s mobile device. If you key in the URL for your store, as I have done above right, you can click the blue link to preview your store. 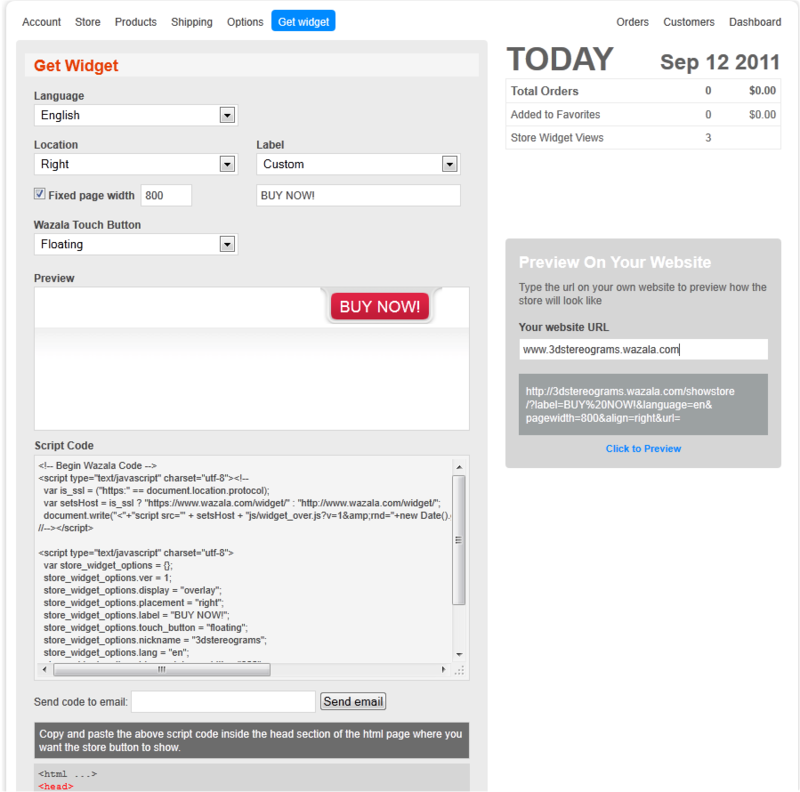 Finally there’s a script you can add to your web page to display your store on your website or Blog. You can also display your store on your Facebook page but do to this you will need to read the instructions on the Wazala! website first. I can’t do everything for you in 15 minutes! The instructions say to add this script to the Head portion of your page but I added it first to the Body section and it worked as well. However, since they specify the Head section, this is what I recommend you do. I have added the script to this page and you can see my Let’s Shop button at the top of the page. Click it and my Wazala! Shop opens in a separate window above the page. IMPORTANT: Please do not order any stereogram prints because I don’t have any and if you do I will have to figure out how to issue a refund and if I can’t do that you may be out $50 plus shipping. 15 minutes? Well..... But it is not that hard. If I can do it, anybody can. If you are serious about selling your product on line, then investigate the paid options. You can try any of the three tiers and cancel your account any time before 15 days. I used the same small images I created for the PayPal widget on the first page. You can and should use larger images so when the shopper clicks the magnifying glass icon, he or she can see a larger image. FINAL NOTE. I did all the store building on the Wazala! website. The biggest problem I have the e-commerce widgets is they don’t remember your password and it is always a hassle to find it. My browser saved my login information which is so much more convenient. Click the red Let’s Shop link at the top of the browser to see the store or click the link below to visit my sample store on the Wazala! website. http://3dstereograms.wazala.com Remember, look LOOK BUT DON’T BUY! Copy and paste the script here This information will be displayed to your shoppers if they select the Express Shipping option. You can edit the text as needed.